The East Bay Regional Parks District directly serves the 2.6 million people of Alameda and Contra Costa Counties, but the whole Bay Area visits the EBRPD's 65 parks and the trails that connect them. 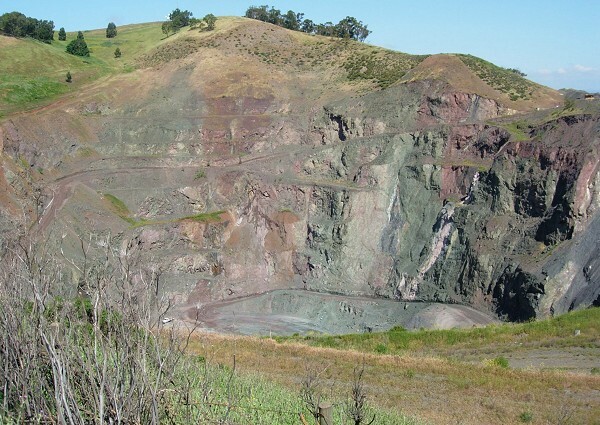 Many of them have worthy geological features, as I've pointed out on KQED before: Black Diamond Mines, Las Trampas Wilderness, Point Pinole, Sibley Volcanic Preserve, Sunol Wildernesseven the former sand quarries of Shadow Cliffs. This week the EBRPD board accepted its latest master plan targeting 16 new sites as future parklands. Two of those are particularly interesting from the geologist's point of view. I'm excited by one and dismayed by the other. The site called Duarte Canyon, in far-easternmost Alameda County, is the one I look forward to the most. 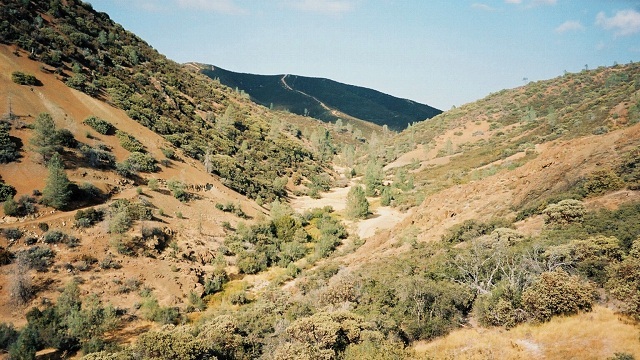 The former mining district up lonesome Mines Road, between Arroyo Mocho and Del Puerto canyons, attracts geologists to its excellent roadside exposures and deep-seated ophiolite rocks. It would be delightful to get away from the roadsides and wander in countryside like this. The other candidate site is not obscure at all: at the opposite corner of Alameda County just north of the Dumbarton Bridge toll gates is a monstrous hole in the ground, the inactive Dumbarton Quarry. Here Franciscan melange was excavated down to 310 feet below sea level and crushed into aggregate. The operators agreed with the city of Fremont and the EBRPD to turn the pit into a lake, but they found that to be infeasible. Their new reclamation plan, amended last year, is to take the next 15 years filling the pit back up again with whatever construction waste they can lay their hands on, then tamping it down and planting grass on top. All that beautiful exposed rock will be buried again. It would make me and every geology teacher in the Bay Area happy if they could stop a little short of the top of the pit to display the andesite rock. 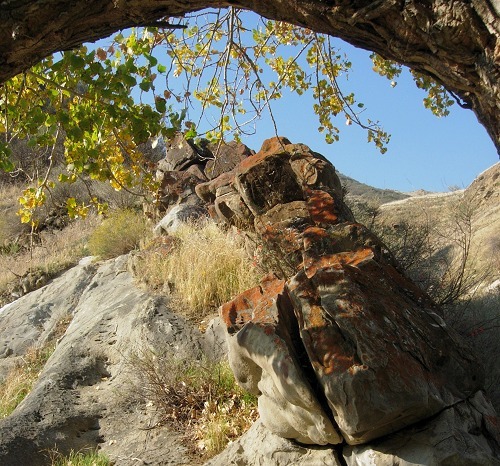 Quarries are part of our heritage just as much as anything else. And rock climbers could use them too. Short of that, I hope they could salvage a few hundred tons of boulders and leave them out as a memorial. The final draft of the EBRPD master plan is online and full of gorgeous photographs as well as the principles and guidelines that govern the district's decision-making. The rest of the 16 expansion sites are covered there too. Most of them are along the shorelines, which is fitting. With the seas projected to rise in coming decades, we will need to focus attention on managing the shore by natural means as well as engineering. I should also note that the much-discussed Tesla site, where offroad drivers and ghost-town lovers have overlapping desires, also has a long mining heritage like that of Black Diamond Mines. In this respect I'm definitely on the rocks' side.